Brilliant LED images with low power consumption. Smart Cloud for automatic updates to content. Get the latest updates on weather and news, as well as current updates on Facebook. Always ensure that your TV is operating on the latest performance firmware. Interact and play games remotely with people around the world with the Tag Gaming package. Connect a PC or MAC to a TV wirelessly with WirelessConnect. Watch and surf anything and everything on the web wirelessly from your MAC or PC to your TV with WirelessConnect. 120Hz PMR for the ultimate in motion sharpness. 120 Hz Perfect Motion Rate (PMR) creates extreme motion sharpness for clear and vibrant images in fast action movies. High definition resolution. Enjoy the exceptional picture quality of High Definition pictures and be fully prepared for HD sources like HDTV settop box or Blu-ray disc. Experience a rich selection of online service wireless with your NetTV services. Enjoy movies, pictures,entertainment and other online content directly on your TV without any cable clutter. Rent to own LED made by Philips with no credit check and same day delivery at ColorTyme. 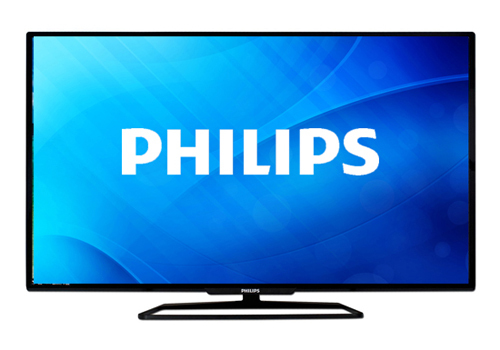 ColorTyme offers the best rent to own prices and easy payment plans on the Philips 50" LED TV.